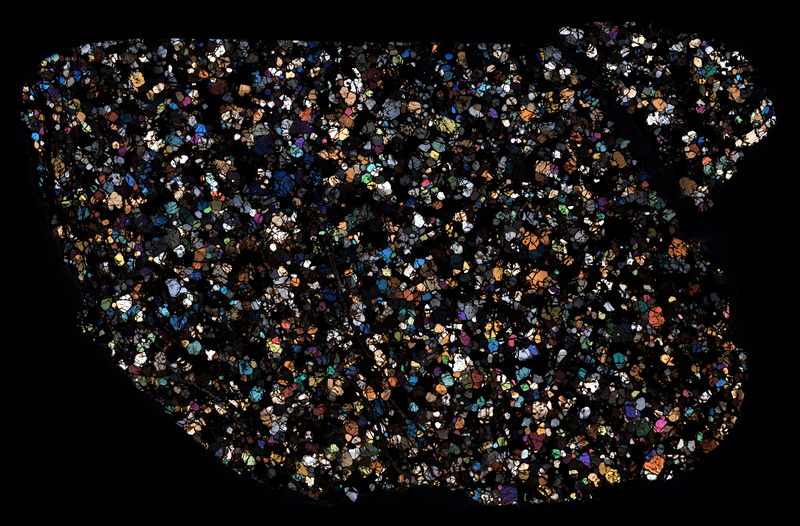 NWA 2871 Meteorite, classification – acapulcoite. Cross polarized light brings out a wide spectrum of coloration and geometric forms. 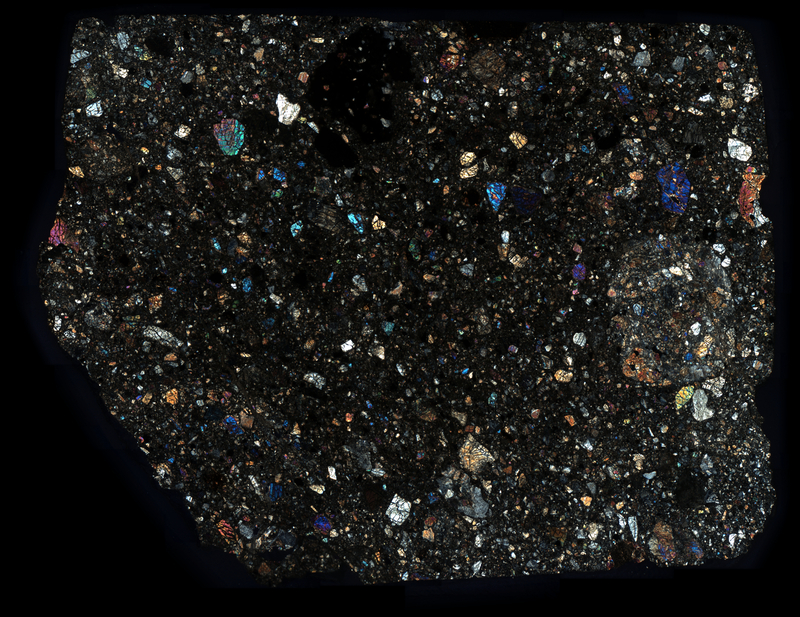 The thin section has numerous interesting spots which interrupt the otherwise uniform colored textures. More information at Meteorite Studies. 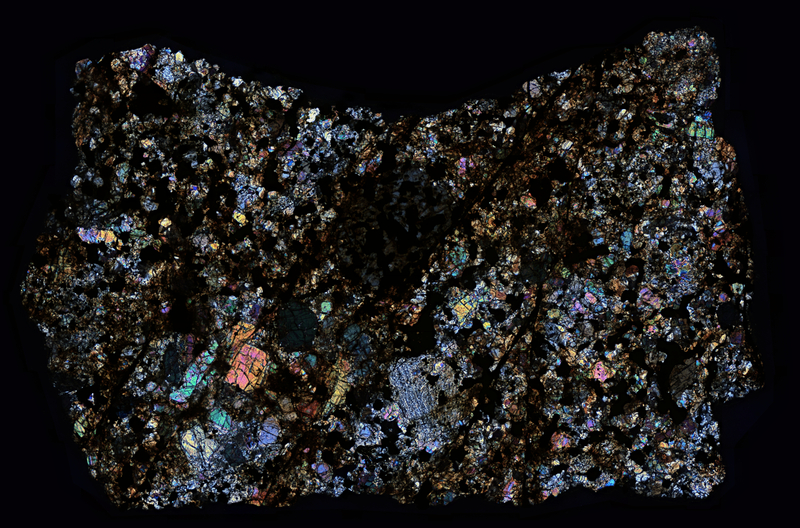 As a Howardite, the NWA 8595 meteorite called Vesta 4 home for billions of years — until an impact knocked this regolith breccia off its lonely host and on a trajectory for the more hospitable land of Morocco, Earth.